Special events are a great way to build brand awareness and raise a company’s profile through creating a memorable experience. In PR, events can run the gamut from large public festivals to small exclusive receptions, however no matter what size or style, it’s important to set crystal clear goals and expectations before diving into planning. 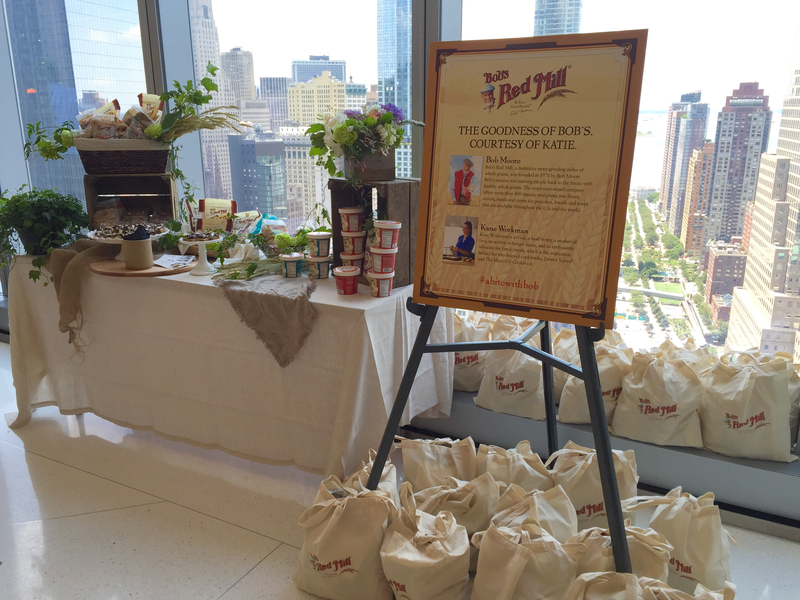 Recently, we had the opportunity to design an event for our client, Bob’s Red Mill, which I’ll use to share planning steps to help illustrate ways to organizing a successful PR event. Establish solid goals and objectives: We started by asking the following questions: what do we want to achieve, and who do we want to connect with? We were clear we wanted to design an event that was relationship-building with national media, that utilized Bob Moore, founder and CEO, and that put a spotlight on the broad spectrum of unique products from the brand. Location, location, location: As we pondered a venue for our exclusive media event, a little light bulb went off: Instead of asking busy media folks to take hours out of their day to come to us, what if we brought a special experience right to their front door? Through extensive networking, we found the perfect venue: the café space in the building of preeminent publishing house Condé Nast. Home of Bon Appetit, Epicurious, Vogue, The New Yorker and a dozen other national outlets, we were confident media attendance would be strong if it was just an elevator ride away. Partner up: We wanted to create a special experience that would resonate with these sophisticated food and lifestyle editors. We chose to partner with food writer and influencer Katie Workman to develop recipes and serve as the event’s brand ambassador. Katie helped design a menu of customizable antipasti grain bowls showcasing 10 different Bob’s Red Mill ingredients in many delicious ways. 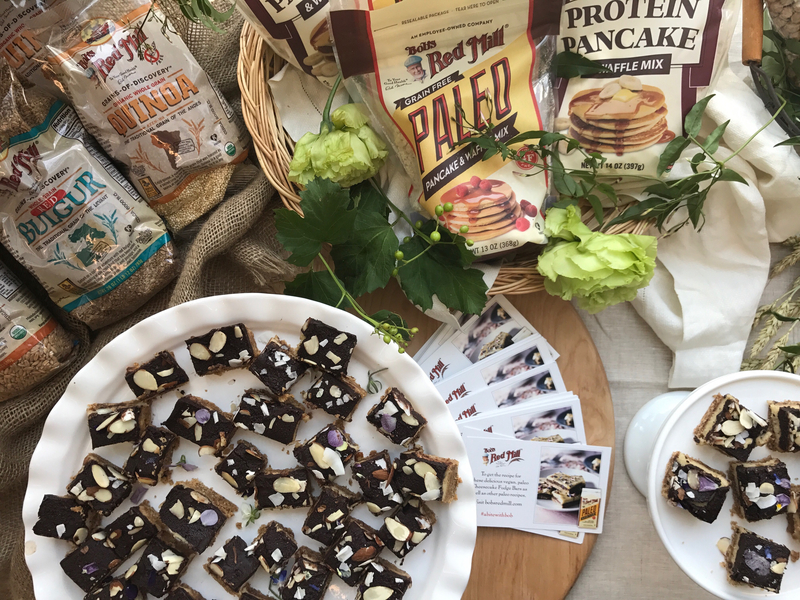 We also partnered with food influencer Judy Kim of @thejudylab to make these incredible vegan desserts featuring a new product from Bob’s Red Mill. Get creative: In addition to offering an inventive lunch menu, we wanted our media guests to have an experience that carried beyond the lunch table. We worked with our creative team to design digital and print displays with brand messaging, a photo booth for guests to take selfies with legendary Bob himself, and special goody bags to enjoy the brand after the event was over. The importance of a Post-Mortem: There’s always something to take away after an event—both “what to do” as well as “what not to do”. This event was successful because we achieved the goal of relationship-building with valuable media (new editorial coverage is in the works!). 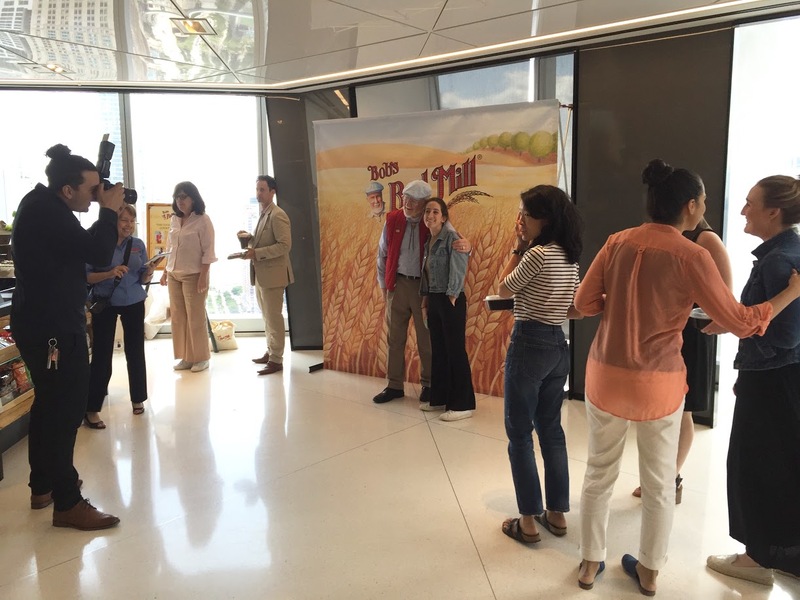 Guests were also able to engage with Bob by taking selfies together and posting to social media using our custom hashtag. There were of course a few minor roadblocks (who knew it was hard to get chefs’ knives past security?!) but we remained nimble and worked tirelessly to make it all come together smoothly. We are even more prepared for tackling our next client event – Anna Wintour, get ready!